DESCRIPTION A one of a kind architectural masterpiece backing onto the Bow River, with close to 6,500 sf of development & positioned on a 15,000 sf private lot. A contemporary but sophisticated & luxurious feel throughout. Ideal for a growing family, with 5 large bedrooms. The master bedroom provides amazing views over the river. Ideal for entertaining, the main floor has an incredible open plan, but still has the formal rooms desired in a house of this caliber, and a vast array of windows & skylights allows for a bright & airy feel. Gourmet kitchen boasts top of the line appliances & 2 large center granite islands. The fully finished basement has a large games room, separate media room, 2 additional bedrooms and a separate laundry room (ideal for a nanny or teenage kids). The 1300 sq ft attached 4 car garage is ideal for any car enthusiast and has the potential for lifts with 12’ ceilings for additional vehicles/toys. From the back deck enjoy the private setting & fantastic views of the Bow River and Bowness Park. Home for sale at 6424 Bow CR Nw Calgary, Alberts T3B 2B9. 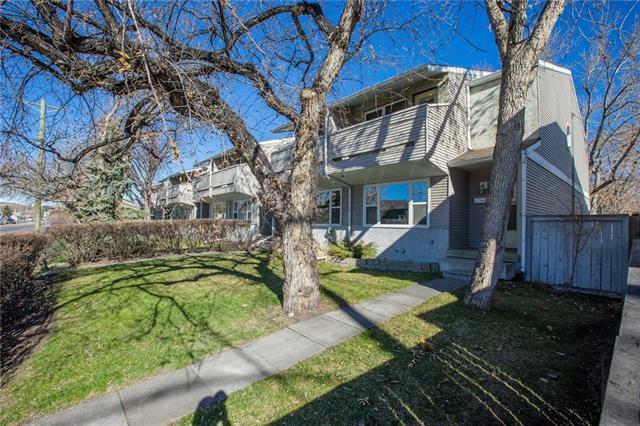 Description: The home at 6424 Bow CR Nw Calgary, Alberta T3B 2B9 with the MLS® Number C4215194 is currently listed at $2,090,000.